Today Teresa Frohock is here talking about the path to publication of her debut fantasy novel, Miserere: An Autumn Tale. Last week, Cathryn Grant spoke about how Indie publishing has led to wonderful things for her. Two weeks ago Andre K. Baby spoke about his debut thriller, a story which shows that there are possibilites we never even imagined. Raised in a small town, Teresa Frohock learned to escape to other worlds through the fiction collection of her local library. She eventually moved away from Reidsville and lived in Virginia and South Carolina before returning to North Carolina, where she currently resides with her husband and daughter. Teresa has long been accused of telling stories, which is a southern colloquialism for lying. Miserere: An Autumn Tale is her debut novel and is scheduled for publication by Night Shade Books on July 1, 2011. I would like to thank Jennifer for her gracious invitation to me to write this post. I think Jennifer and I began blogging at approximately the same time, and it’s wonderful to see how both of our blogs have grown over the years. Of course, after the invitation comes the hard part of deciding what to write about. Jennifer shot some ideas my way, and in a brainstorming e-mail session, we touched on why some writers choose to self-publish and why others seek a more traditional route to publication. I thought since Cathryn talked about why she chose to self-publish, I would tell you why I chose to go the traditional route. Well, there is more to it than that; otherwise, this would be the world’s shortest blog post. Going the traditional route to publication was very comfortable for me. One thing not many people know about me is that Miserere: An Autumn Tale is not my first novel nor is this my first time through the traditional route to publication. When I was in my early twenties I wrote a novel that interested James Allen of the Virginia Kidd Literary Agency. (There is a cool blog post about the agency here and yes, Jim really did smoke that much.) Jim knew I was unpolished as a writ-at.htmler, but he believed in my writing enough that he offered me representation. Unfortunately, I was too smart to listen to his advice, so my first novel never sold. We eventually parted ways and I stopped writing fiction for many years. A few years ago, I saw an online class for writing fiction, and I wanted to see if I had what it took to become published. I signed up for the class and learned a lot about constructing a story. It was all the same things Jim had tried to tell me, but this time I was older and more teachable. I used what I learned in those writing classes to construct Miserere. Once Miserere was polished and ready to submit, I examined my options. I thought about self-publishing, and although some people might not like what I’m about to say, anything less would be a lie. When I looked at self-publishing, I examined several self-published novels. In other words, I wanted to see the company I would be keeping. I wasn’t impressed. The self-published books I found were riddled with spelling and grammatical issues, dialogue and setting were poorly executed, and each book would have greatly benefited from editorial oversight. The cover art was downright atrocious, which made the whole product look cheap and unprofessional. That was two years ago. I’ve recently noticed that the cover art is getting better for self-published novels, and more and more self-published authors are turning to editors to get their books in shape prior to publication. I think that speaks well for all indie authors. However, based on the works I was seeing a year or so ago, I decided I wanted to attempt to acquire an agent. I figured that if I could not interest an agent or a publisher in my writing, then it was possible that I didn’t have what it took to be a professional writer. If that was the case, I was perfectly willing to work on helluo librorum as a fan blog and let those who were more qualified tell the stories. I submitted four queries and two agents asked for my manuscript. Of the two agents, I went with Weronika Janczuk of the D4EO Literary Agency, and I’m delighted with her as my agent. Weronika immediately saw the concepts I was trying to get across with Miserere, and she showed me ways to strengthen Miserere to make the story more marketable. Within five weeks of Weronika sending Miserere out on submission, Jeremy Lassen of Night Shade Books made an offer. I was ecstatic, because I’ve loved Night Shade Books for some time. Jeremy picks the dark, edgy kind of fiction that I love to read, and the award-winning quality of Night Shade’s fiction speaks for itself. I am really honored to be associated with all of Night Shade’s authors. Two things are going to rock a novel off the shelf, and those are the cover art and the story. Cover art is the most vital part of selling a novel. The art draws the reader’s eye and the story holds them there. 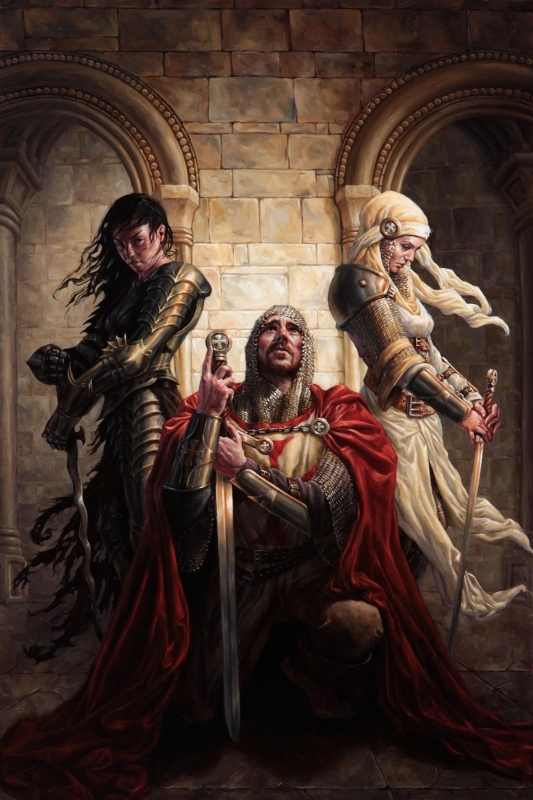 Night Shade is known for producing excellent cover art for their novels, but I was astounded by Michael C. Hayes’ interpretation of Miserere. He took the time to read the novel and he captured the entire story in their faces. He totally got the themes in Miserere. So now we are moving into the final phases of constructing the finished work. I love being part of a team effort, which is exactly what traditional publication is all about—several talented people pulling together to create and produce a piece of art. Have there been long waits? Yes. Doesn’t it make you feel powerless while other people judge your work? Absolutely, but even if you self-publish, there will be readers judging the viability of your work. Should everyone try and acquire an agent, then a publisher? Hey, everybody’s journey is different. Mine worked out great for me. My only advice is for you is this: examine the pros and cons of both options then roll with the option that best fits your lifestyle. Thanks again to Jennifer for giving me this time! If you want to hang out with me, I’m in quite a few places. You can visit my blog and website follow me on Twitter or friend me on Facebook and I have an author page at Goodreads where I post reviews of books that I read and enjoy. I run mostly guest posts at helluo librorum, but I do pop in to give my two cents worth from time to time. Join us there where we talk about dark fiction and writing. I hope to catch you all somewhere online or at a convention soon! Thank you, Teresa, for the great post!! We all look forward to this summer’s launch for you – a most exciting time, and can’t wait to hear all about it on your blog! And, I’m very excited to read Miserere: An Autumn Tale. From the bits I’ve read on your blog I’m certain it’s amazing! Interesting story Teresa. There are so many different paths to take, and I love hearing about all of them. I can relate to the “too smart to listen” part of your story since I had some similar moments when workshopping in college. Thankfully, I’ve grown as a writer, and when I now sometimes hear the echoes of that old advice in my head…I follow it! I enjoy hearing about those who successfully self-publish too, Amanda. I think it’s wonderful how everyone in the writing community pulls together to make sure new writers are fully informed about their choices. I was doing the opposite, Amanda, I was listening to everyone under the sun, because I was certain they all knew better than me. One of my challenges as a writer was developing trust in myself. As you mention, Teresa, the on-line writing community is great! I am thinking from my perspective as a blogger/reviewer that I would have to agree with many of the points that you are making here. I know that the books I receive from traditional publishers are going to be edited where as the self published authors are sadly – “hit and miss”. I am so excited about your new book. The cover is just amazing! Now off to check out your host’s blog. Hi, Shellie! Thanks so much for coming by! You know I got my edits back from Jeremy, and he really picked up on some important things that I had missed. I am a huge fan of editors, because they can often see the big picture that we (writers) miss in our stories. A good editor, Teresa, is wonderful! I’ve been lucky in that regard, but once, when an editor redid my work so that i longer recognozed it as my own. I have only begun diving into the world of self-publication, inspired by my very talented blogging friends, but I must say that often with a new author in any form of publication, it’s a hit and miss. I actually just had to scrap a read by recognized publisher yesterday, because, wow, was it bad (but then again, for others it might be fantastic!!). Personally, I think you just never know. You hit something here, Jennifer, that isn’t talked about too much, and it is when an editor’s voice drowns the author’s. I’m sorry you had a bad experience (I’ve been very lucky in that I’ve had great editors). One way I found to screen editors is this: good editors will offer to work through sample pages for you. Then you can judge how well you can work with the editor based on the sample pages they edit for you.There are so many editors, you can take your time and evaluate them. A bad one will do what Jennifer described and kill your voice–a great one will make you heard. This was a stand-in editor at the magazine I write for. When my usual editor came back from her hiatus, it was too late for her undo anything. I consoled myself, because all the reseach I had done was still being trasmitted, if in a different voice. I suppose it comes with the territority at times. ” great one will make you heard.” – love that, and yes, so true!!! Interesting story. From everything I have been reading about traditional and indie publishing I came to the conclusion that both options are great and it’s up to the author to choose the right path to take and to commit to the path and do what it takes to make the book amazing. I’m glad traditional worked out for you Teresa. Hi, Particia. I know for me, my full-time job played a major factor in my decision too. Thanks so much for taking a minute to comment and good luck with your writing too! I love reading others’ paths to publication, whichever method they’ve chosen. Thank you for sharing yours. Thanks for commenting, Tricia. It was a fun post to do. Loved this, Theresa. I found it interesting when you mentioned that a younger you wasn’t interested in taking the advice of your agent, but later you took that same advice to heart. Thank goodness we grow and learn..Best of luck with your book! Thanks, Laura. It was tough to admit that first novel wasn’t right, but once I did, I was able to learn the techniques necessary to write MISERERE. I wish you luck with your novel, BITTER, SWEET. I had no idea your past hid a cheeky young thing. I’m sure that helps you appreciate where you are all the more. Congrats on the debut, T. That cover art is outstanding. Hi, Jan! I was quite the cheeky young thing. I really love being older–except the body–I’d like that cheeky young bod back, maybe. Thanks so much for stopping by! Thanks, Weronika! Jennifer did a beautiful job putting everything together. Thanks for the post, Teresa! It’s great having you! Congratulations on your summer release of Miserere. That is a spectacular cover! Thank you Cathryn! I’m so sorry! I thought I’d replied to your post previously, but I see that I haven’t. I really admire people like yourself who are brave enough to self-publish. I wish you the best of luck. Theresa, I was very interested to read this. It must be very hard to step back from your novel and from your dream of publishing it. It was very brave of you to decide that you would be happy to let others tell stories if you own novel didn’t make it. I’m so glad things did work out and that your hard work and patience paid off. Thanks Jennifer for this series of guest blogs. They have been inspirational. I’m glad you enjoyed them, Helen! Three such different roads, but with few things in common: love of the craft, dedication, persistance, and determination. 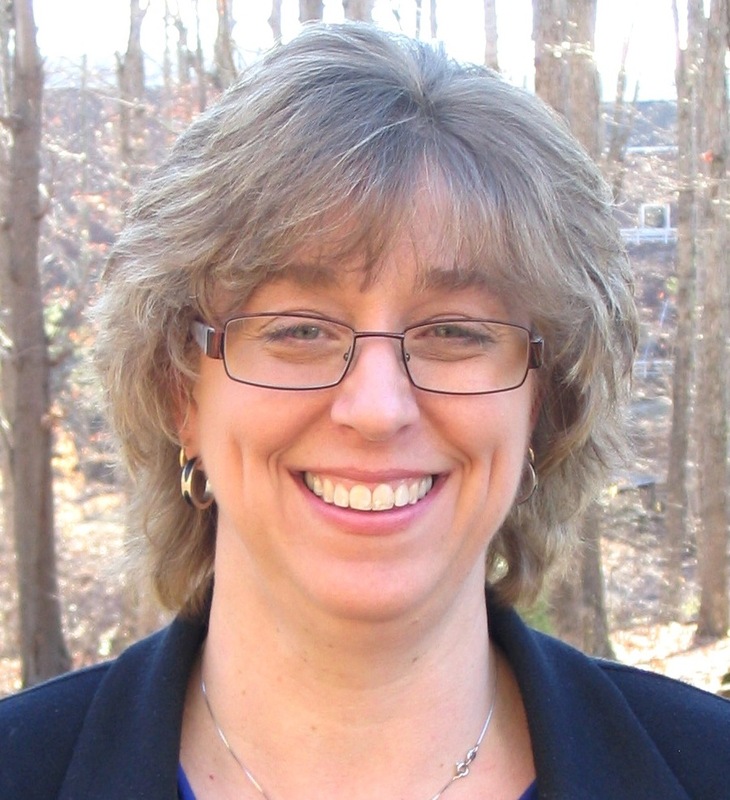 Hi Jennifer – I love finding new people/blogs. Teresa’s successful publishing story is inspiring. From the excerpts I’ve read on her blog, I look forward to reading Miserere this summer. Jennifer, thanks so much for dropping a comment! Please allow me to introduce you to Jennifer! I think you two will like one another’s blogs very much. Thanks, Teresa, for the introduction! Interesting post. It’s impossible not to feel powerless, but the best remedy is to write the next novel. Absolutely. Then you’ve got something else to fall back on if the first one doesn’t do well. I’ve also always learned something new with every book I’ve written. Thanks for stopping by! I agree that writing is the best way to work out our fears about writing is to write! Thanks for sharing, Teresa. V interesting blog article. Hi, Lawrence, thanks for stopping in! I hope all is well with you and your writing. It was! A pleasure having Teresa!